From the creator of "Plucker" comes another illustrated novel, set in Texas and hell. Escapees from hell fill the pages of this book, terrifying and slaying the living as they try to flee their guards from the underworld. Cole, one of the undead, has been sent to reclaim these souls in flight and return them to the fiery depths. But one escaped soul is not like the others: Rath. He in fact wants to return to hell. But why? And why does Cole, a tormented soul from hell strive to capture his fellow mates? 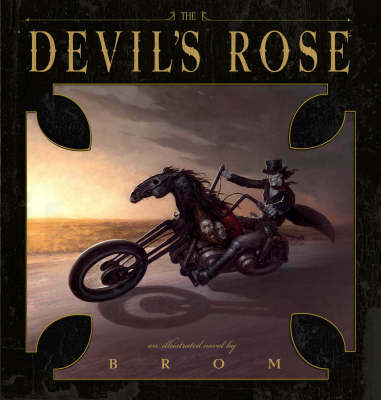 It has to do with a woman named Rose, who he did wrong and a pact he made with the devil.